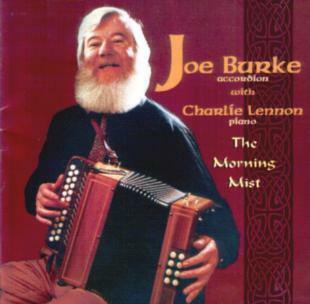 I been listening to recordings of Joe Burke for over 30 years and this is as good as it gets - effortless playing from two outstanding musicians – accordionist Joe and his piano accompanist Charlie. The album has a very relaxed feel and a brilliantly clear and musical recording from Charlie’s new Cuan studio at Spiddal in Connemara, engineered by Eamon Goggin. The box and the piano just sound lovely. This album does justice to all involved – it is a masterpiece. The tunes are mostly well-known standards (e.g. The Dawn, The Morning Mist, The Scholar), but the album also contains some interesting novelties like the French Musette waltz Le Petit Accordion and the airs The Lament for Aughrim, Eochaill, The Green Fields of Canada and The Wounded Huzzar on which Charlie provides sympathetic synthesizer backing. Joe also plays O’Carolan’s Concerto which you don’t hear too often on the button box! Altogether there are a bumper twenty-one tracks of the best of traditional Irish music. Highly recommended! This is an original review by Seán Quinn. For more information about Joe visit www.joeburkemusic.com/.